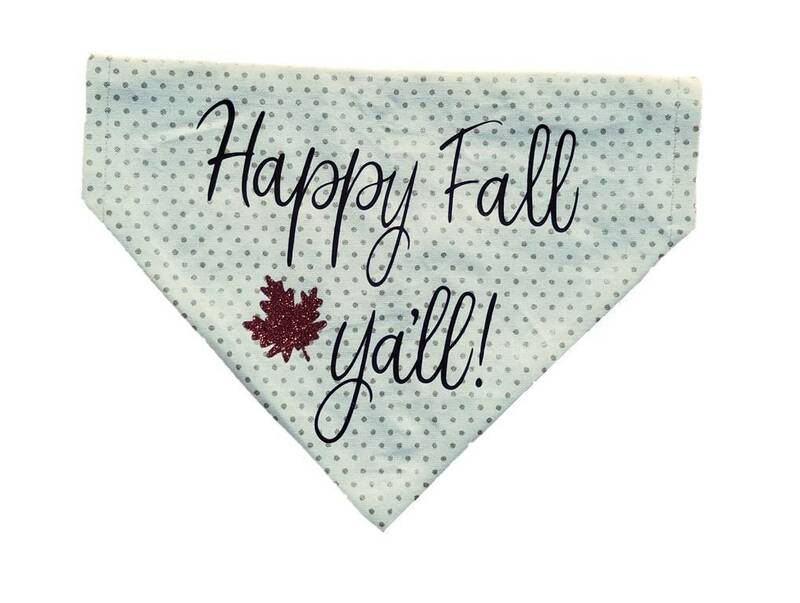 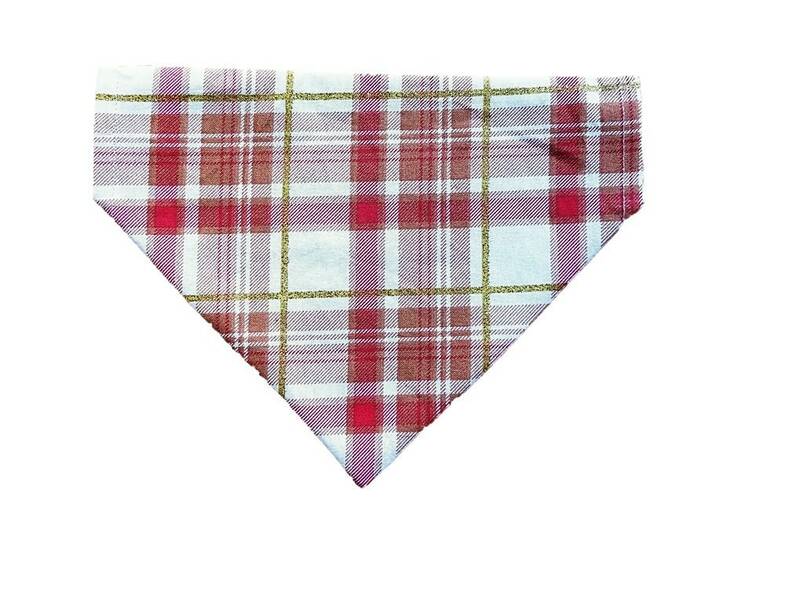 ♥ We sure love the South and think it's only fair to spotlight it with this cute Happy Fall Ya'll bandana! 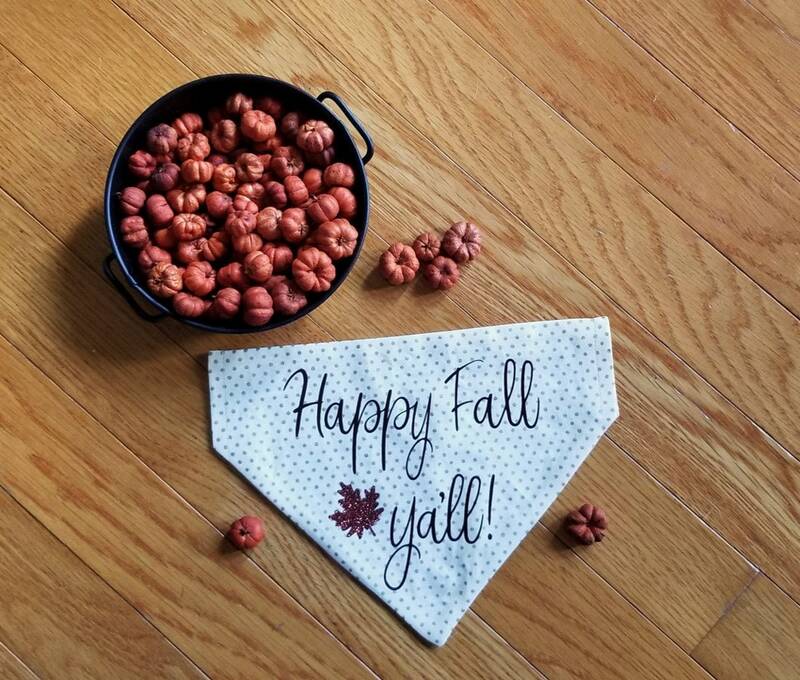 As the leaves change and you start to yearn for the cooler air, make sure to add this to your pup's collection! 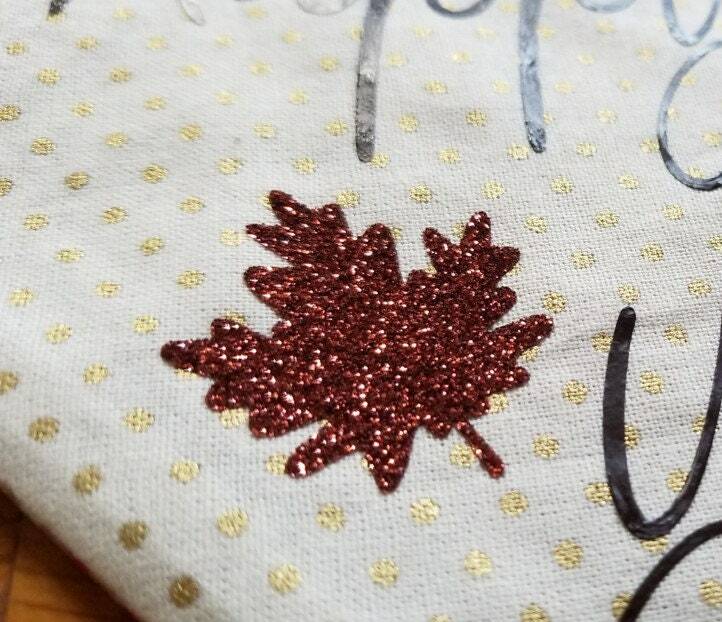 On one side you'll find an orange, red, and tan plaid with hints of shiny gold while on the opposite side, a cute polka dot pattern, the text and a super fun glittery leaf!